Today was my first day at my new job! I am now a Branch Facilities Coordinator at New American Funding. I was so excited/nervous this morning! Orientation was really cool though and actually fun. It also helps that one of my best friends works there too, in another department but we still get to have lunch together. So the dress code here is business casual with casual Fridays. For the first day I wanted to wear something that was not too dressy, but not too casual either. I wanted to gauge how everyone else dressed in the office. It turned out my outfit was perfect, just enough dressed up. 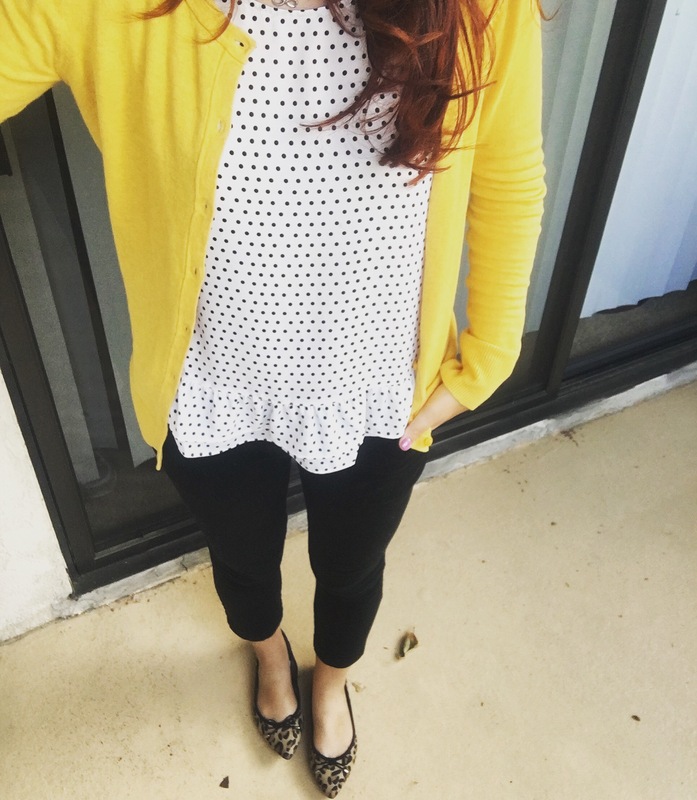 I chose my ankle slacks from Target (my favorite work pants), and my new loose white and black polkadot ruffle-hem top from Maison Jules at Macy’s. 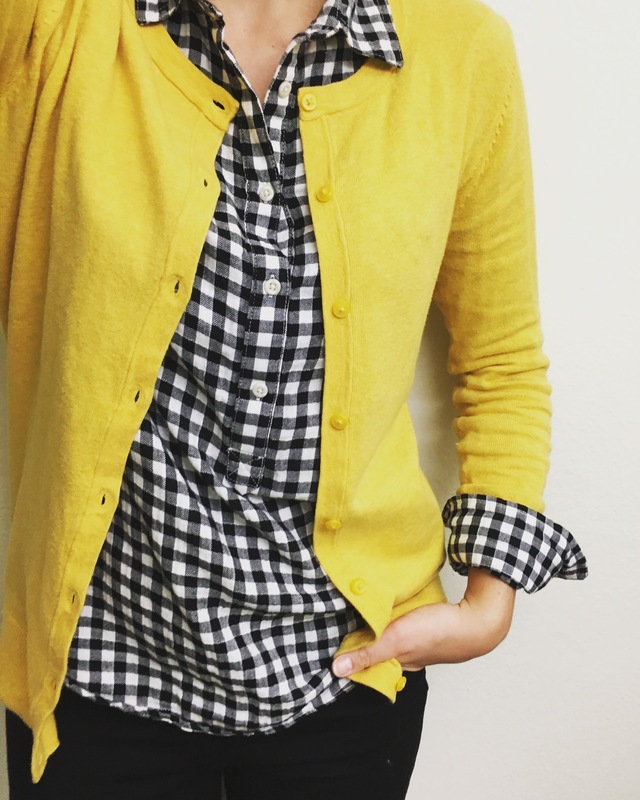 To go over my top I picked my new mustard cardigan from Target, I LOVE pairing mustard over black and white. For shoes I knew I wanted to wear flats, and although it may sound weird to some I went with the leopard pointed toe flats from Target. I know polkadots and leopard print doesn’t sound like it goes together but it worked really well! The leopard print went with the color scheme of black and mustard.